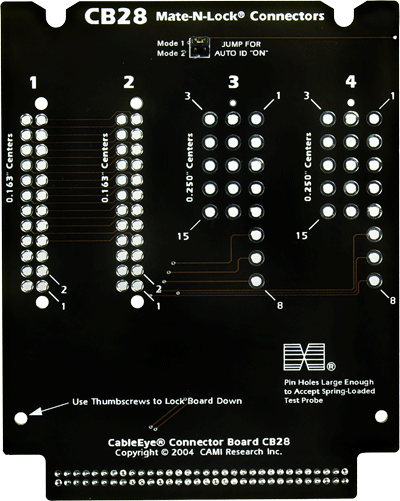 This board includes connector footprints for Mate-n-Lok connectors with 0.163" and 0.250" grid spacing. The footprint patterns were sized so that the largest connector in the family will fit. 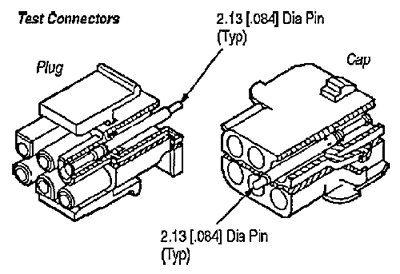 Refer to example connector configurations below. 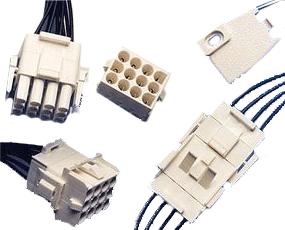 Because of the wide variety of connectors available for this board and the many possible customer configurations, the board is sold without any connectors. Customers should obtain their own mating connectors suitable for their application from their local AMP/Tyco distributor. Connector graphics automatically size to fit the measured wiring. We designed the board with large-diameter holes on all footprints so that they will accept either standard production connectors or AMP's test probe connectors with wide-gauge spring-loaded pins. 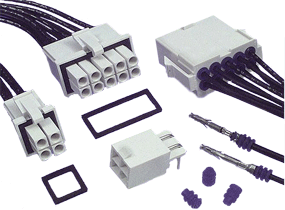 Use the test probe connectors to preserve connector life during high-volume production. Set of two boards. When ordering connectors, choose post length suitable for a 0.093" thick PCB. This is the board thickness of CB28.